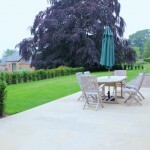 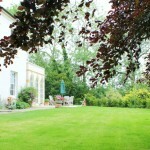 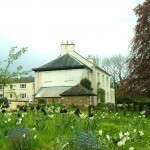 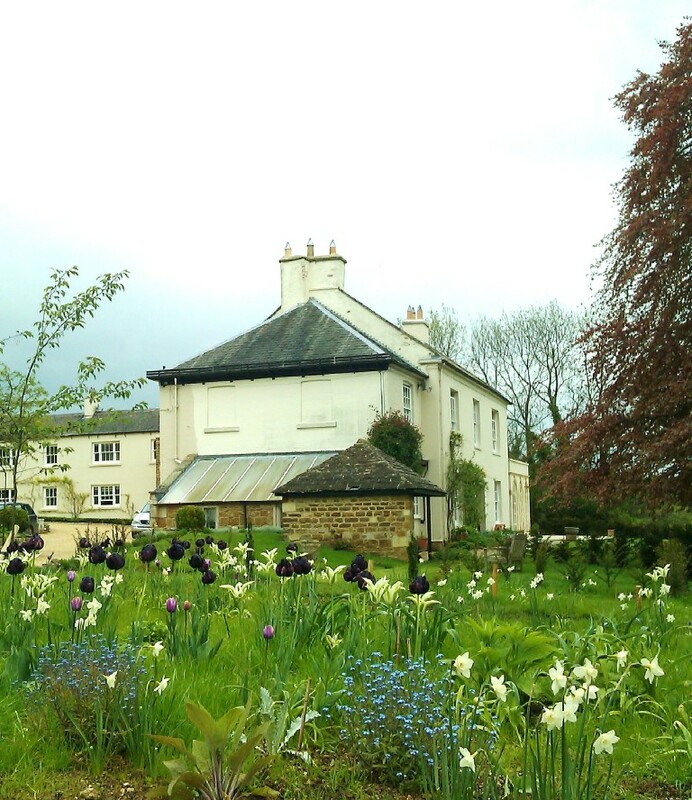 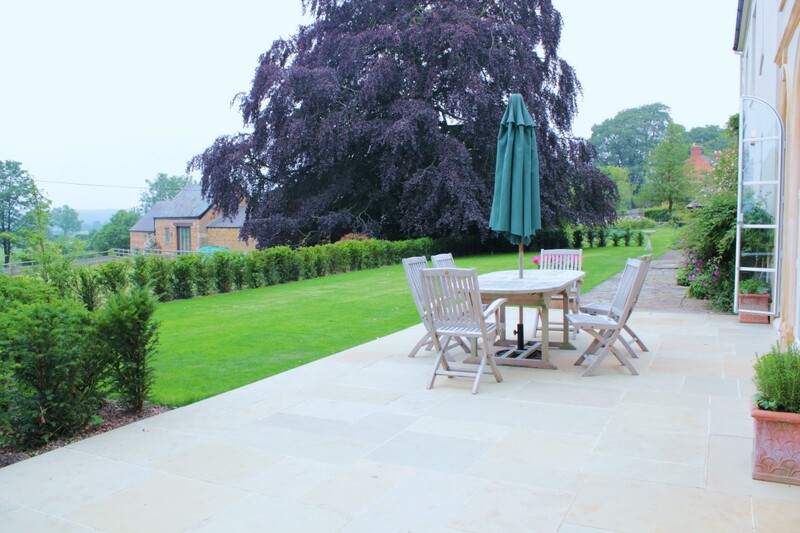 A Large Country House Garden - Hill-fort Ltd.
A large handsome property with spectacular views. 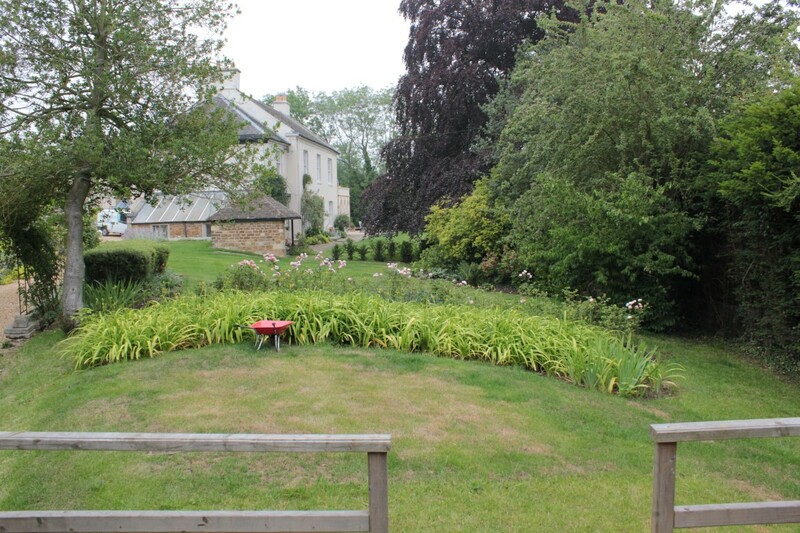 Rear of the property is secluded, whilst long front lawn is viewed from the small village road. 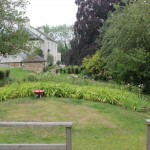 Simplify front lawn planting, concentrating on view across pasture land. 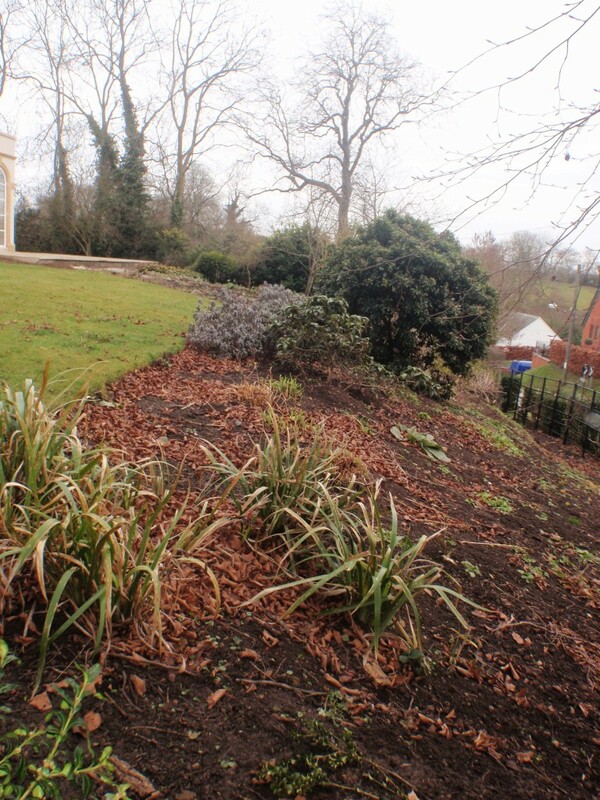 Link in and add low maintenance interest to adjoining sloping lawn, to west of property. 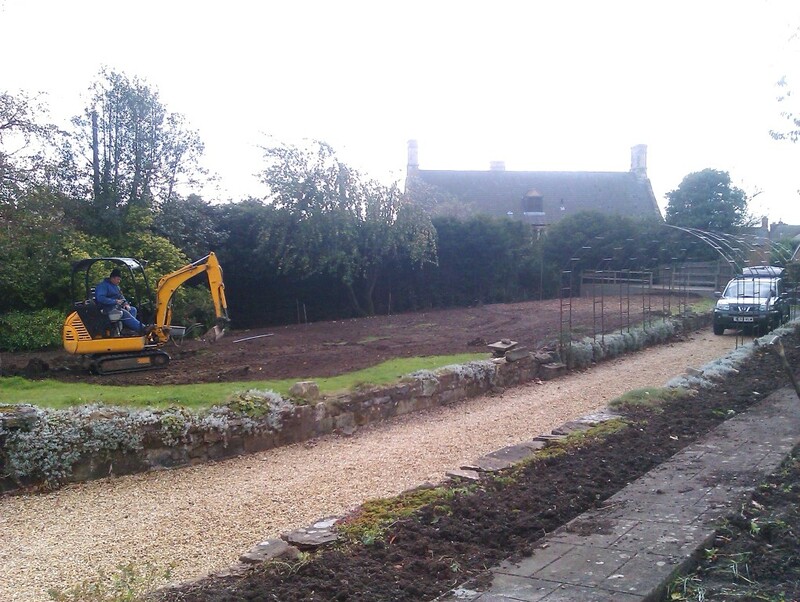 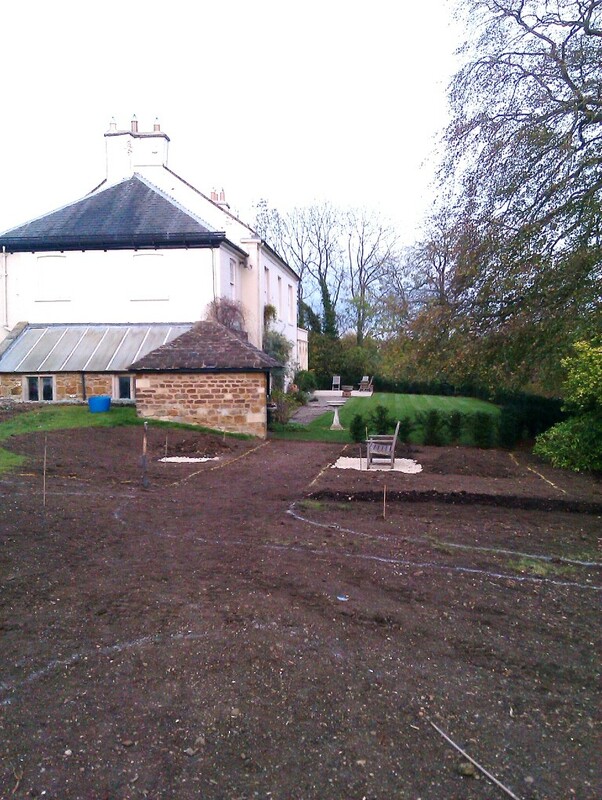 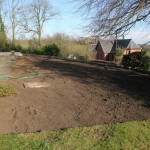 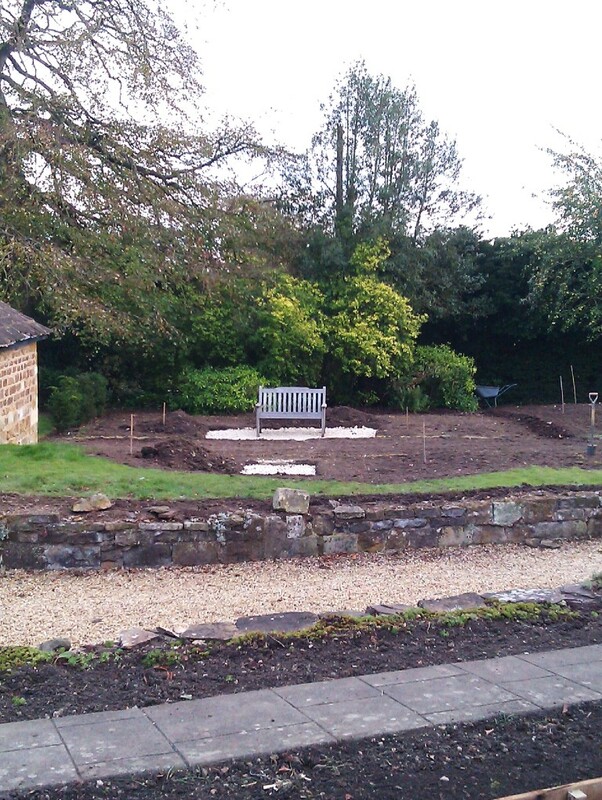 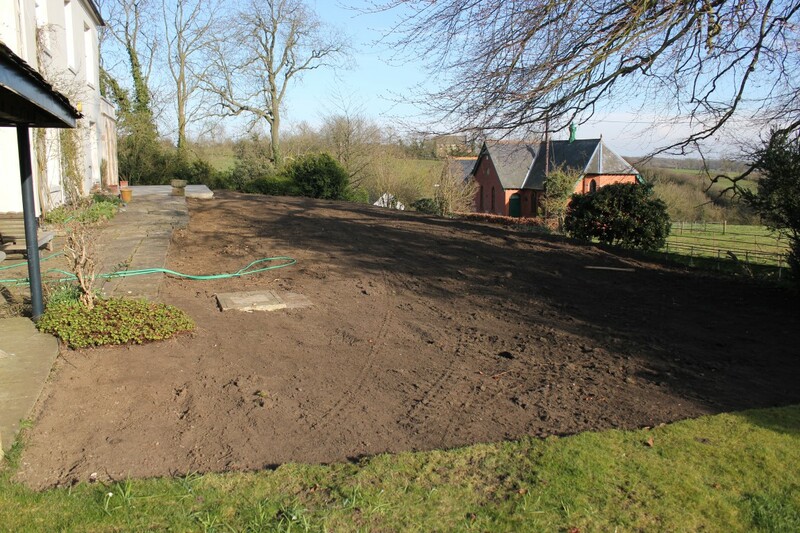 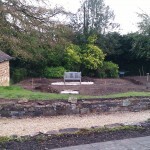 Remove mixed border planting, strip turf and level front lawn site. 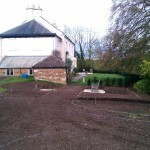 Add semi mature hedge of yew to prevent road user view into house, whilst framing clients view over open countryside. 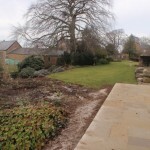 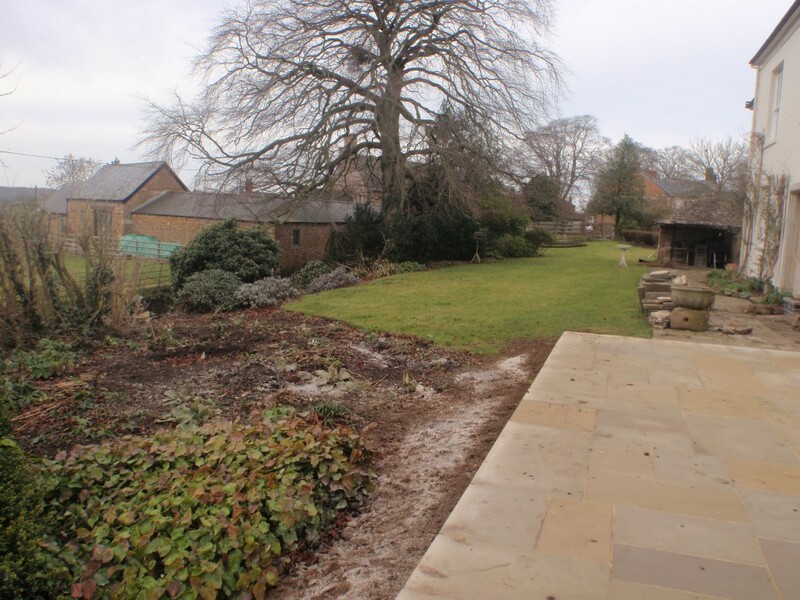 Level sloping west lawn and create a ‘stop’ between the simple south lawn and colourful meadow planting, consisting of a bench and urn with shrub roses to define path leading into the meadow garden. 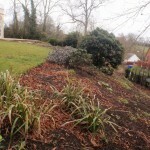 Rejuvenate wall plants and implement pruning schedule. 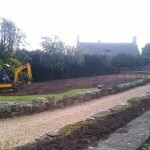 Add drifts of large leaved perennials to narrow borders and rabbit resistant forms to main borders.